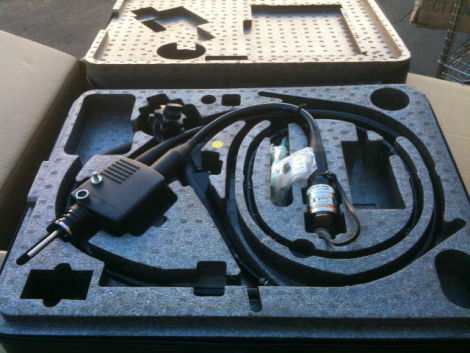 Fujinon EG-450WR5 Gastroscope. Fair condition. Has discolored insertion tube and/or buckling on light guide tube. Ready to ship.